Hi there Quick Quotes friends! It's Rhonda here today to host the blog for you. I have a project to share that features pieces from the April Club Q kits along with a few other Quick Quotes coordinating elements and PowderPuff Chalk Inks of course. 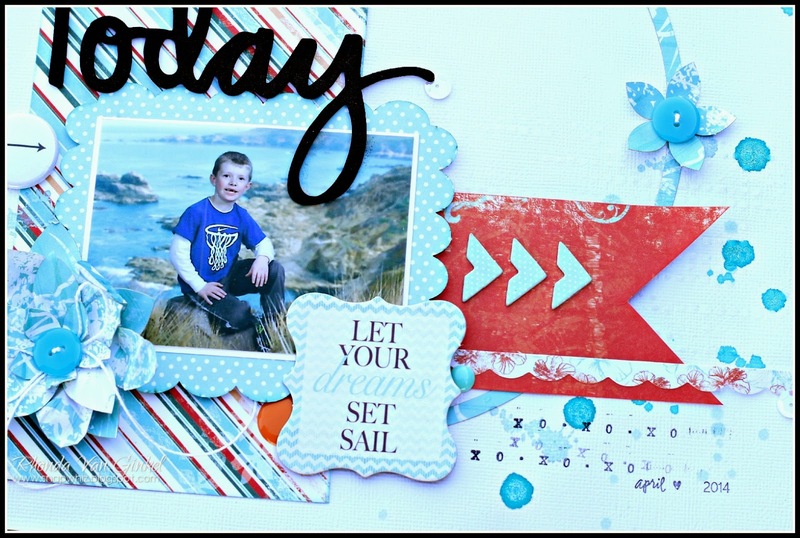 "Let Your Dreams Set Sail"
This month's kits feature the Catalina Island collection and I had a really fun photo of my son that I thought would be a wonderful compliment to colors. I used one of the mini album frames as my mat for the photo. Some really cute thin circle die cuts are part of the kits and I had to use one! Here I've used some of my coordinating chipboard and stickers. 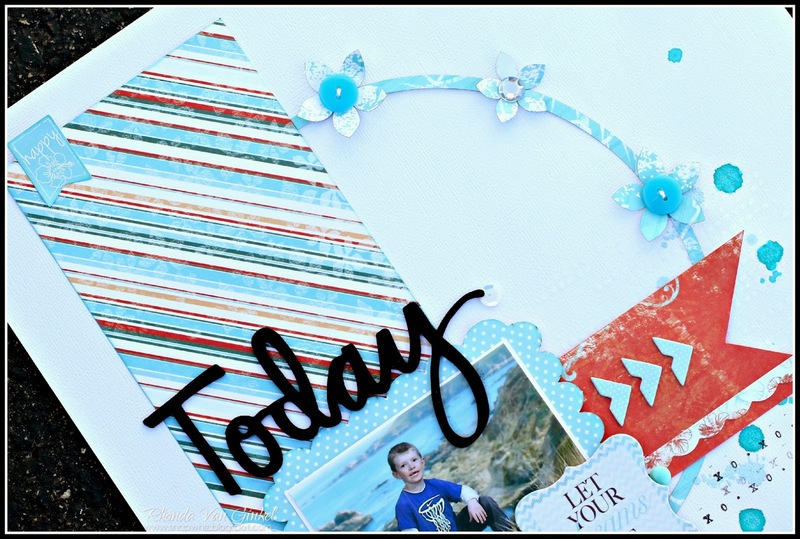 I loved the cute die cut flowers that are included in the kit and the buttons match perfectly! 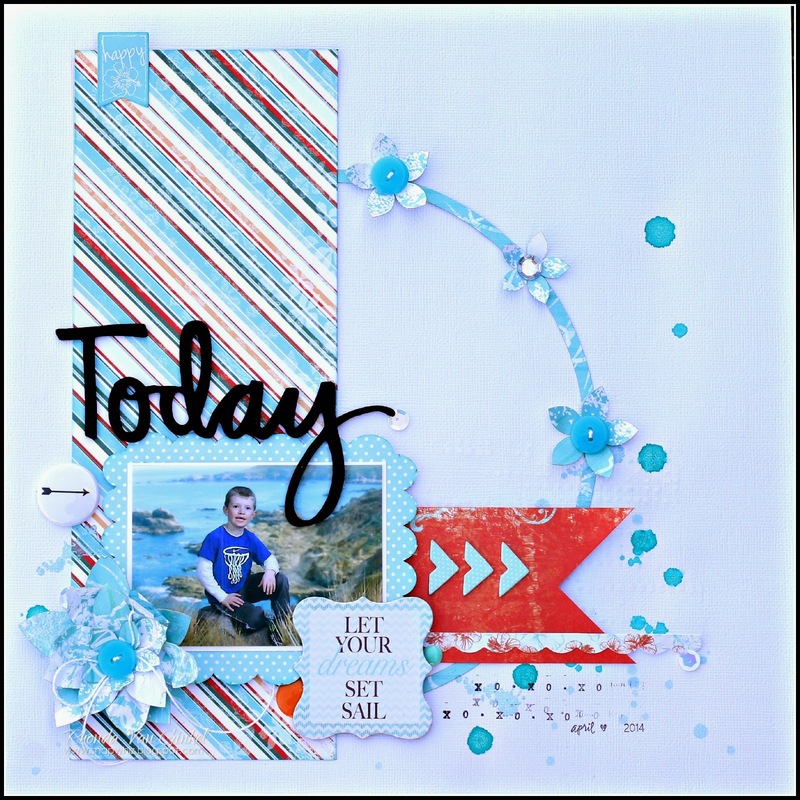 I used a bit of modeling paste and sprinkled some mist drops on my page as well. Some simple stamping helped finish the page.